Nothing beats a wonderful holiday getaway! If you’re looking for a great place to spend time with your special someone during this magical time of year, we recommend traveling down South. In the amazing Jackson, MS, you’ll discover an array of opportunities for Yuletide festivities to enjoy. At Fairview Inn, one of the favorite holiday events is the Mistletoe Marketplace in Jackson. It’s the ideal place to find last-minute Christmas gifts for your family and offers wonderful activities that spread holiday cheer. 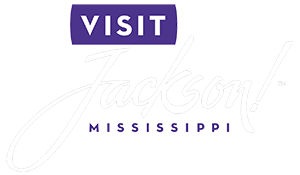 In addition to the Mistletoe Marketplace in Jackson, request a copy of our complimentary Vacation Guide for more seasonal happenings, cultural celebrations, and culinary adventures! If you’re planning an intimate escape this holiday season, be sure to attend the Mistletoe Marketplace in Jackson. Here are our recommendations for how to maximize your time at this Christmas event! The Mistletoe Marketplace in Jackson will be held the first weekend of November. The fun-filled festivities will be held at the Mississippi Trademark Center in downtown Jackson, MS. The Mistletoe Marketplace in Jackson will be four days of nonstop fun! This wonderful extravaganza begins with a preview gala and auction. The event continues with plenty of shopping, silent auctions, and plenty of other surprises. With features like a Marketplace Jazz Brunch, a children’s party, and a raffle, visitors of all ages will find something to delight in at this annual festival. Since this event is so popular, you can order your tickets conveniently online for each event ahead of time! Every year, Junior League presents this event. It’s an organization composed of highly motivated women who dedicate their time to volunteerism in order to support and benefit the community. So, as you spend your money at the Mistletoe Marketplace in Jackson, you’ll know it’s benefiting a wonderful cause! Don’t miss all the other fun Christmas events happening Jackson, MS! Each of these fantastic holiday extravaganzas helps you welcome the spirit of the holidays into your heart. Jackson, MS, is truly an enchanting destination during the holidays, so make your plans today! No holiday adventure is complete without booking the best lodging possible! Complete your next magical getaway by staying in the finest and most comfortable accommodations at Fairview Inn. Our historic boutique hotel offers luxurious rooms and suites, delectable dining, game room, Civil War library, a spa, and much more, all within a quiet and peaceful environment. We even have a private lounge that offers specialty cocktails for guests to enjoy. Choose from exploring the many attractions of downtown or simply enjoying the abundant comforts of our cozy boutique hotel. You’re bound to love what we have to offer in our relaxing haven of Mississippi, so don’t hesitate another moment; check our availability and book your stay today!